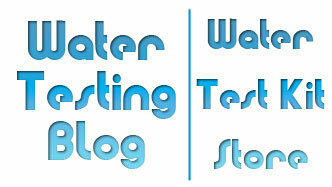 The Water Test Kit Store — What Do We Do Differently? We must admit that this question completely caught us by surprise when we received it. At first we believed it some form of clever SEO Marketing advertising ploy but it turned out that someone really and truly wanted to know what made our water test kit store different from all the other online stores that sell water test kits. Hi. I’ve spent way too much time over the past days looking for a place to get some water strips. We have water problems, want to fix them and think you make sense saying test first, buy filter next. What makes water test kit store better? How do you stand out? You can see why we suspected the message as spam from an SEO Marketing firm, right? Seriously… Why elsewould someone take the time to ask us why we felt we did a better job than our competitors? Answer: Because they actually wanted to know… so we will now do our best to, um, brag(?) about what makes us ‘awesome’. We started the blog about water quality and water quality testing several years before opening the Water Test Kit Store… and have hands-on knowledge of almost all the water test kits we carry — because at some point or other we have USED almost all of them. 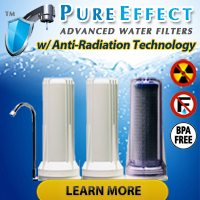 Other companies sell water testing products as add-on items whereas we sell them as our main product line. Yes, we do intend to branch out and start shipping a select number of water filtration products (i.e. Austin Springs Water Filters), but we will NOT drop our commitment to carrying water test kits that we trust will work as advertised. After all… Without water test kits, how will anyone know what type of water filter will work best for their water quality needs AND how will they test their water after installing a water filter to make sure it works? Ever order a product online and find yourself surprised that the seller did not take the time to at least put your purchase in some sort of protected (padded/cushioned) envelope? Well, WE ship the majority of our products in BOXES w/ packing peanuts, packing paper, those inflated air pouches, etc. What good would testing products do for you if they arrived on your doorstep in a battered, torn, nearly shredded, and possibly sopping wet non-padded envelope… or in a cheap, torn-to-shreds thin plastic/polymer mailer? Additionally, whether padded envelope or traditional box, we place a pack of clear packing tape over our customers’ addresses so that accidental contact with water (ironic, right?) will not blur them and make the package undeliverable. Since we obviously DO care about the environment, we reuse the packing peanuts, packing paper, the inflated air pouches, etc. that we receive as protective materials for the orders we get from our vendors. As part of our daily routine we strive to respond to emails and web inquiries as quickly as possible — even on weekends. In-stock water test strips and water test kits normally ship within one business day. Full-size arsenic test kits ship within 3 to 5 days — guaranteeing you the freshest test kit reagents possible. Water testing meters also ship within 3 to 5 business days — guaranteeing you the freshest test kit reagents possible. We love to help people find out what in their water they can reduce or remove to make their lives better. Safe, clean drinking water has innumerable health benefits… and we believe everyone should enjoy them! We could go on and on tooting our own horn about how awesome we are, but by now, if you’re still reading, we think you got the point by now. As requests come in from our readers and we see developing needs in the water testing market we will continue to diversify our water test strip and test kit selection. Regarding our plan to carry countertop, undercounter, shower and whole house water filters, well, we thought very long and hard before deciding on what brand to start with… and believe very strongly in our selection of the Austin Springs brand. Please visit with us, again, soon for more information on new, exciting and USEFUL water testing products as well as Austin Springs Water Filters.